Photos in this category include photos of your limpia, unique infrastructure, first opening of the acequia in spring, picturesque winter photos, etc. 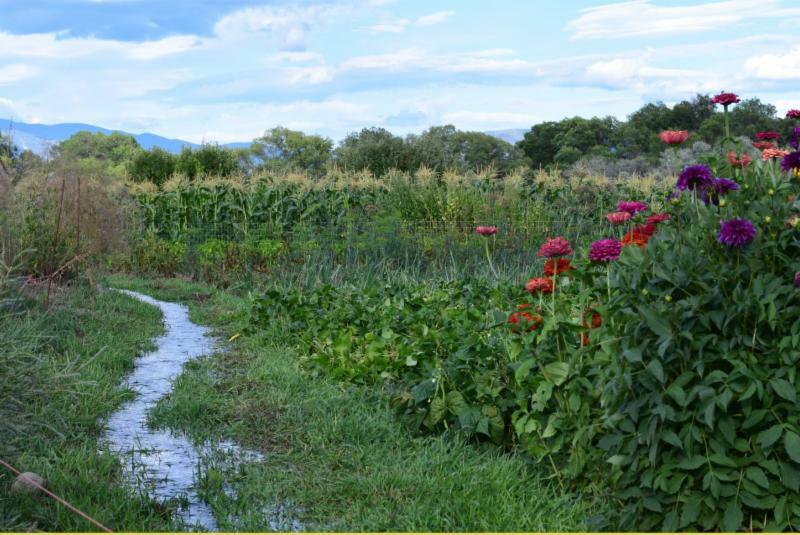 the acequia landscape that show off your farm or ranch, including but not limited to scenic photos of your crops and/or animals, or photos of family working in the field. *This category also includes, the acequia landscape that show off your farm or ranch, including but not limited to scenic photos of your crops and/or animals, or photos of family working in the field. This is an opportunity to showcase your artistic ability in manipulating imagery through apps and programs like photoshop. *This category allows you to create creative shots, colors, and style of your favorite photos or drawings related to your acequias, culture, and the other categories. Photos in this category include photos of parciantes irrigating fields, and other photos related to irrigating. Photos in this category should cover acequia food traditions. Examples include making chicos, food preservation, harvesting, close-up photos of your produce, seed saving, and traditional family activities, etc. Participants are limited to one photo per category!